Great Britain 1937-49 General Service Medal with Palestine clasp to "2033059 TPR. G.L.S.ENGLAND. THE ROYALS" and 1939-45 War Medal and 1939-1945 The Defence Medal, all without ribbons. Fine condition. 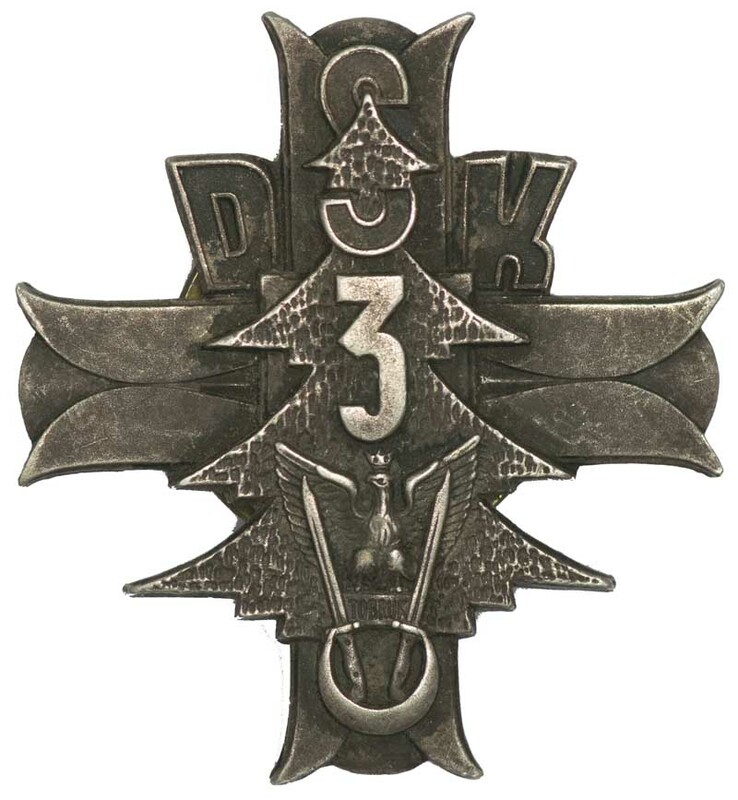 WWII Polish unit badge of 3rd Dywizja Strzelcow Karpackich (3rd Carpathian Rifle Division). The badge features a cedar tree with a Polish eagle upon the word 'TOBRUK' flanked by two bayonets with the handles encircled by a crescent, superimposed upon a Greek cross (Monte Cassino Cross) with the text 'DSK3' and inscribed 'Wiara-Wytrwalosc-Zwyciestwo' (Faith-Perseverance-Victory) on reverse. 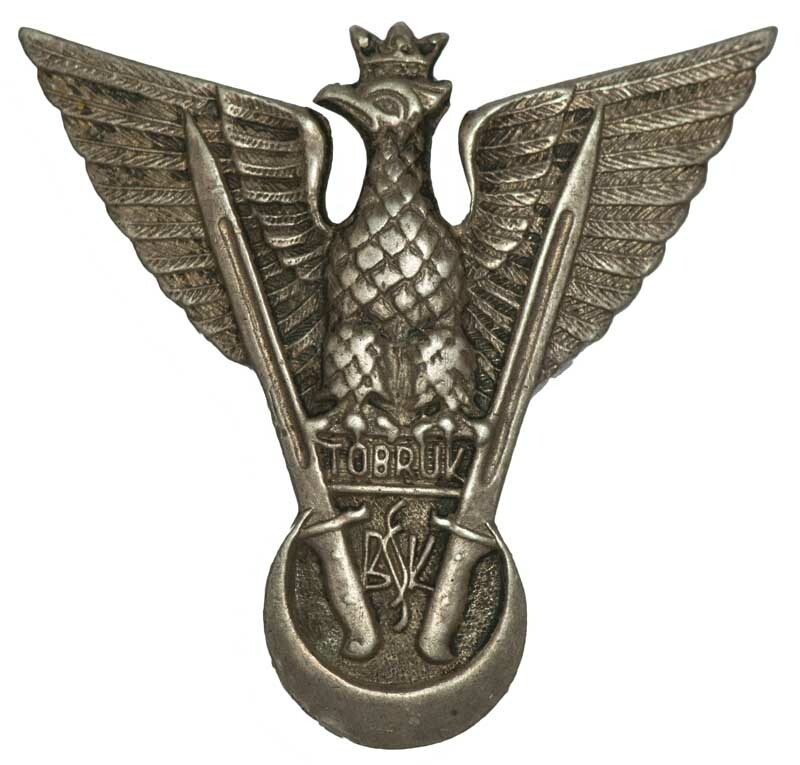 Also the Independent Carpathian Rifle Brigade badge featuring Polish eagle upon the word 'TOBRUK' flanked by two bayonets with the handles encircled by a crecent. Both in silver coloured alloy with screw back attachment. Fine condition.